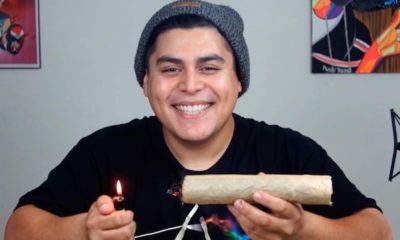 Content creators who have been banned from YouTube for posting about weed have found a new home with High Times TV. High Times is excited to announce the launch of its brand new online video streaming channel, High Times TV. Developed partly in response to streaming platforms like YouTube and Facebook banning or restricting cannabis content, HTTV will serve as an invaluable resource for cannabis-related news, education, and entertainment. The platform will benefit viewers and content creators alike as High Times is partnering with video streaming service provider Unreel to monetize videos through digital ad networks like Google Ad Manager and Roku. Content creators in the cannabis space who have had their work erased and banned now have a new platform. HTTV offers a place to stream videos that were deleted from other platforms, and a welcome home to stream and monetize new content. In addition to StrainCentral, content creators Ruffhouse Studios, Stoner Mom, CustomGrow420, High Rise TV, That High Couple, and The Green Market Report are already on board with High Times TV. Doug Benson’s “Getting Doug With High” and Now This Weed will also stream new, original content on HTTV. Original content will range from educational videos about the cultivation, harvest, and processing of cannabis plants, to behind-the-scenes footage of High Times events, to vlogs from influencers in the cannabis space. With High Times TV, viewers will be able to access a multitude of videos from trustworthy, knowledgeable people, all on one easy-to-use platform. In an age of misinformation and constantly changing laws and regulations surrounding cannabis, that kind of access could be a lifeline as well as a source of entertainment. “While High Times has built a powerful subscriber base across print, digital and social media, it’s not enough to just produce content for those platforms,” he says. High Times TV is now live on tv.hightimes.com. It’s also available as an app for iOS, Apple TV, Android, and Roku.